In every home across the UK there are multiple appliances being used daily to help us with our chores. 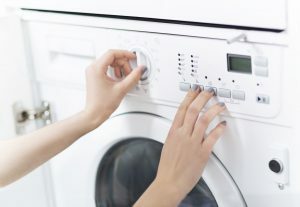 What you might not realise about your white goods and other appliances, however, is that you can register them to get updates on recalls and free safety repairs when issues are found with models after they’ve been released to market. Faulty appliances can be fatal, with over 16,000 domestic appliance fires recorded by the government for 2017/18. While there has been a steady decrease since 2010/11 (19,067 fires), there are still a lot of avoidable fires. Only last year there were stories of tumble dryers and dishwashers catching fire and causing damage in homes around the UK. A lot of these incidents can be avoided by both manufacturers and consumers being diligent in reporting and registering appliances. It’s thought that fewer than half of the fridge owners in the UK haven’t registered their appliance, meaning that they miss out on all the benefits. Created by the Association of Manufacturers of Domestic Appliances, the Register My Appliance site has been refreshed with the intention of making it easy to use on mobile devices. In addition to registering new appliances, you can also register older or second-hand appliances for the majority of manufacturers to receive these benefits. Through this service, you can gain peace of mind that you have safety information about all your appliances as soon as it is available. This could result in quick, minor repairs to help your appliance function better, or the removal of an appliance to prevent a fire or other fault causing damage and possibly fatalities in your home. The two most recent recalls happened in 2018, with Whirlpool recalling their stainless steel, built-in gas hobs (model: AKM 274/IX). This was due to concerns about the front-left gas burner emitting carbon monoxide above acceptable levels because of the wrong part being produced with the burner. The first recall in 2018 involved KitchenAid kettles from Whirlpool which the manufacturer feared could have the upper handle separate from the attachment point, making it unstable and potentially dangerous (model numbers can be found here). Always call the fire brigade with appliance fires if you are unable to quickly extinguish it. Never try to tackle a large fire. You can register your appliances at https://www.registermyappliance.org.uk/ to give yourself peace of mind and to take a proactive approach to protecting your home from the threat of an appliance fire.